The commonly used aluminum alloy are 1050, 1060, 1070, 1100, 1070, 3004, 5005, 5052, 5005, etc. Commonly used state are O and H states, O said soft state, H said hard. The number behind O and H can show that the degree of hardness and softness, and annealing. Aluminum strips can be divided by specific purposes:transformer aluminum strips, high frequency welding hollow aluminum bar aluminum strips, finned radiator aluminum strips, cable aluminum strips, stamping aluminum strip, aluminum side bar aluminum strips, etc. Aluminum strips have many purpose, such as aluminous model multiple tube, cable, optical cable, transformer, heater, blinds, etc. In particular speaking, 1060 aluminum strips are used in area with high corrosion resistance and form-ability requirement and low strength requirement, the typical application is the chemical equipment. 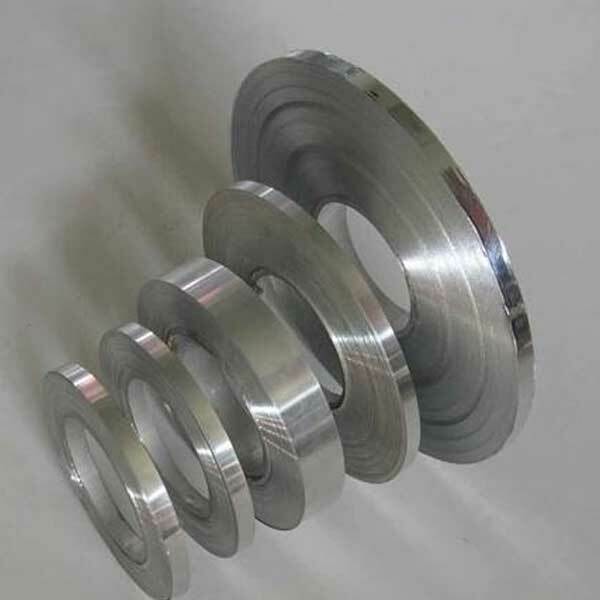 1100 aluminum strips are used for processing component parts with good formability and high corrosion resistance but no intensity requirement, such as chemical products, food industry equipment and storage containers, mechanical parts, deep drawing of sheet or spinning concave ware, welding part, heat ex-changer, printing plate, nameplate, reflective apparatus. After learning this, you have a brief understand about aluminum strips’ usage. If you have any question about thin aluminum strips or other aluminum products,you can put forward to Haomei industrial, Haomei can give you a best answer and service. Do not hesitate any more,contact with our staff immediately by phone or e-mail, we will answer you as soon as we can, make you satisfied with our service is our goal.We are waiting for you with full heart.